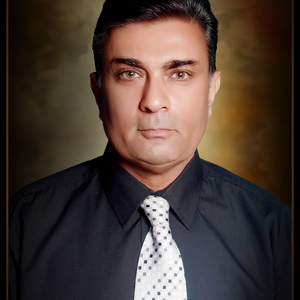 Muhammad Jahanzeb Khan has been a Professor and Chairman, Department of Psychology, University of Peshawar, and Director Staff Training Institute. In December 2011 he was appointed as Vice Chancellor, University of Swat, Pakistan. He joined the Department of Psychology back in 2015-16 as Professor and Chairman. In 2011 he got a project of 42 million rupees approved from HEC for his Department, which has now been completed. After being appointed as Vice Chancellor, University of Swat he added to the strength of the university by establishing 25 new academic units including a specialized college of Home Sciences for girls and Department of Social and Gender Studies. The University has acquired 1016 kanals of land and got an allocation of 2.4 billion rupees for its construction. He has been member of several statutory, academic and administrative bodies in different universities e.g. the Senate, Academic Council, Selection Board, and different national committees. He completed his M.Phil. (in the area of Assessment of Depression) and then Ph.D. on Ethnic self-discrepancy in Afghan refugees and native Pukhtoons in N-WFP (now Khyber Pakhtunkhwa). In 2008 he was awarded with a Fulbright fellowship and has completed his Post Doc. from the University of California at Berkeley, USA. As a Fulbight Fellow, he was attached to the Graduate School of Education, Department of Psychology, and Psychology Clinic. He also delivered seminars at UC Berkeley and American University in Washington, DC. In 2012 he availed Charles Wallace Fellowship to University of Leicester, UK. Dr. Khan has been publishing in quality journals and also organized international conferences, seminars, and workshops. He has been editing an international and a national journal in the area of social sciences. He has also produced many PhD scholars at University of Peshawar. Dr. Khan has also been running the Psychological Testing and Computer Sections of Department of Psychology, University of Peshawar. He established a Psychology Clinic and an Assessment and Counselling Centre at University of Peshawar. He has developed and adapted various cognitive and personality tests (e.g., Islamic Identity Scale, Pukhto Adjectives Checklist, Teachers Evaluation Scales, Islamic Identity Scale). He is a leading researcher in the area of Pukhtoon studies in social sciences in his part of the world. His other areas of interest are self and identity, social psychology, clinical psychology, and psychometrics. He has been elected to the office of President Pakistan Psychological Association (PPA) in 2015 and now working to reorganize PPA and establish Pakistan Psychological Council (PPC). Anis-ul-Haq, M., Bano, M., & Khan, M. J. (2005). A comparison of motivational orientations between middle and lower level bank managers. Journal of Humanities and Social Sciences, 13(1-2), 80-87. Anwar, M. & Khan, M.J. (2013). Maturity in Self and Psycho-spiritual well-being. Journal of Humanities and Social Sciences, XXI (3), 11-24. Atta, M. & Khan, M.J. (2015). Leadership Styles as determinants of Organizational Citizenship Behaviour among Public Sector University Teachers, Pakistan Journal of Social Sciences, 35 (1), 273-286. Atta, Mohsin & Khan, M. J. (2016). Perceived organizational politics, organizational citizenship behaviour and job attitudes among university teachers. Journal of Behavioural Sciences, 26 (2), 21-38. Bond, M. H. et al. (2004). Culture-level dimensions of social axioms and their correlates across 41 cultures. Journal of Cross Cultural Psychology, 35(5), 548-570. Hayat, M., Khan, M.J. & Ahmad, S. (2014). Prevalence of PTSD among affectees of War and Terrorism and the role of psychological interventions in their rehabilitation, Journal of Rural Development and Administration XLV (1), 49-67. Khan, I. & Khan, M. J. (2011). Socio-economic Status of Students and Malpractices used in Examinations in Urban Areas of District Peshawar, European Journal of Scientific Research, 49 (4). 601-609. Khan, M. J. (2006). Development and validation of Pukhto Adjectives Checklist. Central Asia, 58, 137-153. Khan, M. J. (2005). The ethnic-self perception of Pukhtoons across the Durand Line. Central Asia: Journal of Area Studies Centre for Russia, China, and Central Asia, 56, 11-21. Khan, M. J. (2005). The level of self-discrepancy among Afghani and Pakistani Pukhtoons. Central Asia: Journal of Area Studies Centre for Russia, China, and Central Asia, 57, 347-359. Khan, M. J., Khan, N. A., Bano, M., & Ali, J. (2006). Home-work stress, burnout, and social support in university teachers. Journal of Law and Society, 34(47), 49-58. Khan, M. J., Yousaf, U., & Hussain, R. (2004). Self efficacy and job satisfaction. Journal of Humanities and Social Sciences, 12(1,2), 217-222. Maroof, R., Khan, M.J., Anwar, M., & Anwar, A. (2015). A Cross Sectional Study of Wisdom: A matter of Age and Gender, FWU Journal of Social Sciences, 9 (2), 63-71. Maroof, R. Y. & Khan, M. J. (2016). Exploring the role of identity styles in wisdom during adulthood. FWU Journal of Social Sciences, 10 (2), 113-123. Saeed, T., Anis-ul-Haq, M., Khan, M. J., & Khan, N. A. (2006). Job insecurity, health, and job related attitudes: A comparison of different occupational groups of middle level telecom managers. Journal of Humanities and Social Sciences, 14(1), 138-146.